Since the discovery that atomic-size particles can be described as waves, many interference experiments have been realized with electrons to demonstrate their wave behavior. 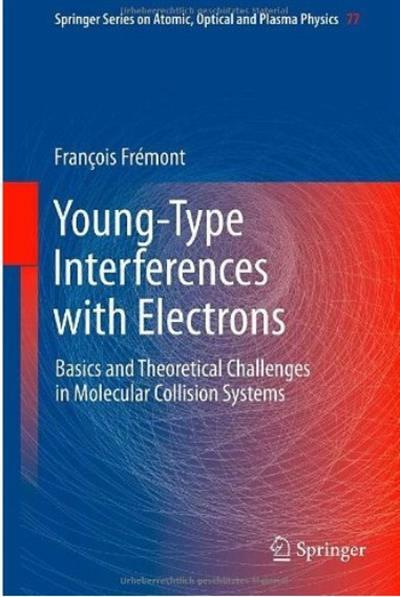 In this book, after describing the different steps that led to the present knowledge, we focus on the strong link existing between photon and electron interferences, highlighting the similarities and the differences. For example, the atomic centers of a hydrogen molecule are used to mimic the slits in the Young’s famous interference experiment with light. We show, however, that the basic time-dependent ionization theories that describe these Young-type electron interferences are not able to reproduce the experiment. This crucial point remains a real challenge for theoreticians in atomic collision physics.